Remarketing is a way of reconnecting with users who have previously visited your website. By collecting data on these users, using platforms such as Facebook or Google, you can position targeted adverts to a defined audience when they are browsing other websites. Remarketing also encompasses the use of emails to reconnect with previous users. Comparing click through rates for display vs remarketing, many businesses achieve a CTR 10x higher. That’s an average CTR of 0.07% compared to 0.7%. When it comes to remarketing, the two powerhouses of Facebook and Google are going to give you a greater reach than most. But, if you have a limited budget, which one do you choose? We’ve pitted them against one another to understand what the advantages and disadvantages are of both. For a free Facebook remarketing consultation get in touch! What’s the Difference Between Remarketing & Retargeting? Traditionally, retargeting was used to talk about display advertising, whereas remarketing was reserved solely for email marketing. Some say that Google owns the term remarketing, whereas retargeting is Facebook’s. Currently they are used interchangeably by marketers to mean the same thing. Facebook remarketing (also known as Facebook retargeting) is a way of reconnecting with Facebook users who have visited your website. This is achieved by installing a pixel on your webpage(s), which relays information back to Facebook. If the user is signed in, their account is logged and is then eligible for retargeting campaigns. You must set up custom audiences to capture the users, and set a goal for them to complete (like click your phone number, for instance). Those who don’t complete the goal are added to the custom audience list. This can be set to auto-remove visitors who eventually complete these goals. Additionally, you can easily segment within your custom audience, creating simple demographics and target them with relevant content. What Can Facebook Remarketing Do For You? Facebook usually has a lower cost per click than remarketing on search engines. This is because Facebook traffic tends to be less targeted. Search engines usually work around pull marketing since the customer has searched for your product to begin with, but Facebook exposes new potential customers to your product (push marketing) since, really, Facebook users aren’t looking for you right now. You can create your Facebook remarketing campaign based on off-site lists such as mailing lists. All you have to do is create a custom audience and import the mailing list, then Facebook matches it up with the profile attached to the email. This way you can market to people who might not have even known you have a Facebook page. Facebook remarketing allows you to drive higher conversions. If your industry is particularly competitive chances are your customer will be browsing multiple sites before they follow through on a purchase. Once they’ve left your site they might end up forgetting your name and you’ve lost a sale. Remarketing to website visitors solves this. When they leave your site and see you again on Facebook, you become more recognisable and that significantly increases your chances of converting them. If you want to exclude users who have completed a sale, then create a custom remarketing segment for those who visited your ‘thank you’ or ‘checkout confirmation’ pages, and they’ll no longer see your campaign. One thing we love about Facebook is the lookalike audience. 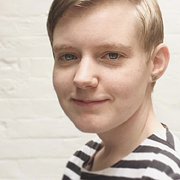 You can track the people who actually converted and build an audience out of them. Once you’ve done that you can then move on to your lookalike audience, which is essentially a larger group of people who share the same core attributes as the people who converted. This is created by Facebook’s data mining and is achieved with the simple click of a button. An obvious option for Facebook would be capitalising on social proof. Happy customers will often share positive comments and engage with the content that you post, meaning previous customers can interact with potential ones. When a potential customer sees all the positive feedback via remarketing, it can significantly increase chances of conversion, and increases brand loyalty in your existing customers. You are under no obligation to spend when you create an account. This will link to your personal profile, and you can create your custom audience for free, for as long as you want before you actually produce your retargeting campaign. First of all, what is the ‘Facebook Remarketing Pixel’? It will not affect the function of your website in any way, and can be installed by anyone with basic knowledge of HTML. Click the ‘Create a Pixel’ option. Enter a name for your pixel. You can have only one pixel per ad account, so choose a name that represents your business. This name can be changed at any time. Now you have the pixel, you need to install it on your website. Navigate your way to the Pixels page in Ads Manager. Copy the base code and paste it between the <head> tags on each web page you want, or in your website template to install it on your entire website. We recommend installing on every page, and creating ‘custom events’ to measure interactions. 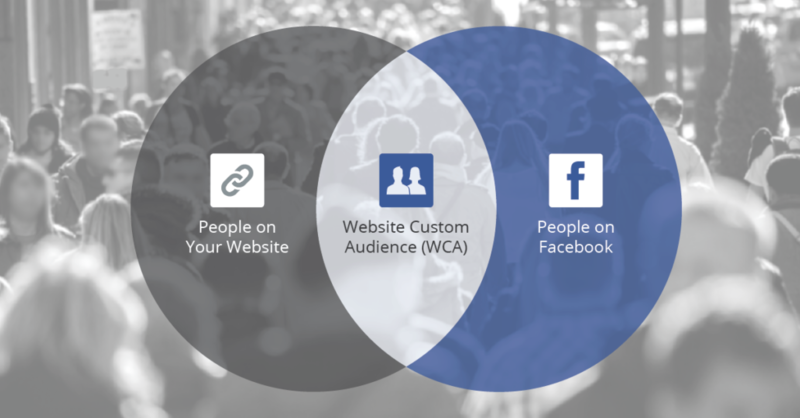 A full guide on custom events for Facebook retargeting can be found here. If you run your website on WordPress or something similar, there are a variety of plugins such as the Facebook Conversion Pixel plugin that you can use to install the pixel which require no coding skills at all. Worldwide there are over 1.86 billion monthly active Facebook users (a 17% increase on 2016). Of this total there are 1.15 billion mobile daily active users (a 23% increase on 2016). This is huge. Obviously. And means that your business can reach a huge portion of the world’s population. At 29.7%, 25-34 year olds make up the most common age bracket. This means that your retargeting adverts are going to be seen by those in this age range than anyone else (of course this can be customised in your campaign). The highest traffic on Facebook occurs between the hours of 1 and 3 p.m., midweek. As such, this is your window to reach more customers and increase response to your adverts. However, this is also the most competitive time when considering cost-per-click or cost-per-impression campaigns. Engagement on Thursdays and Fridays is 18% higher than all other days. Why? Because people are in a better mood now that the working week is ending. Use this to your advantage in your campaigns, but consider whether your company is likely to generate interest when people are planning on going out and enjoying themselves? 50% of 18-24 year olds check Facebook when they wake up. This means that you could be the first thing they see in the morning. However, you need to consider whether you are the thing they want to see first thing in the morning. Adjust your campaigns to suit. On another note, users are more engaged in the evenings. It’s advised that you use A/B testing to run different campaigns and discover which garner more engagement for your business. 20% of marketers have a dedicated budget for retargeting; 50% of marketers plan to increase their retargeting budget in the next six months; and 46% of search engine marketing professionals believe that retargeting is the most underused online marketing technology – so what are the remarketing stats behind all of this industry excitement? 7.37% will respond to a special offer within the ad. by the ad that they had noticed. Retargeting is also very useful for eCommerce business. The average click-through rate (CTR) for display ads is 0.07%, however the average CTR for retargeted ads is around 0.7%, which proves that retargeted customers are much more likely to click on an ad than those who have never previously interacted with the business. Furthermore, 26% of customers will return to a site through retargeting and website visitors who are retargeted with display ads are 70% more likely to convert on a retailer’s website. to acquire their competitor’s customers (11%). However placing retargeted ads in email, and as part of the creative can also be a successful strategy (accounting for 26.1% and 29.8% respectively). It’s still quite difficult to retarget based on certain events performed on your site, especially when they aren’t being redirected to a page that confirms the actions took place. Facebook remarketing ads are probably going to get more expensive. Facebook’s organic reach has shrunk to new and surprising lows, and the lower that gets the higher the cost of ads. There’s a chance they’ll end up setting up an extra fee for the Website Custom Audiences feature in the future. Recent news from Mark Zuckerberg himself seems to suggest that Facebook will be cutting back on adverts displayed in the user’s feed. This could mean an overall increase in costs for Facebook remarketing campaigns. Furthermore, with the advent of GDPR and recent privacy scandals concerning user data following the Cambridge Analytica breach, targeting has gone way down. Many targeting options have been removed and audience reach is down due to the user’s ability to op-out of Facebook remarketing adverts. As with all things, your remarketing efforts need to actually be measured in order to figure out whether they’re successful. The following are the most important metrics to be keeping a track of and will give you a clear indication of whether you’re doing something right or wrong. ROI – The most important of all the metrics. The formula for ROI is your gain from investment minus the cost of investment. CTR – This is the click through rate – the number of times the ad was clicked on. A higher click through rate is very important, check the benchmarks below to see what kind of CTR you should expect for your industry. CPC – Cost per click. To do that, take the total spend and divide by the number of clicks. eCPM – Effective Cost Per Thousand Impressions – you can determine this by taking the total earnings and dividing by the total number of impressions served. Then multiply this by one thousand. eCPA – Effective Cost Per Acquisition. This is based on the campaign spend divided by impressions served, multiplied by the CTR and again by conversion rate. Doing this will determine what you may have paid on a cost per action basis. The following are Facebook advertising benchmarks in 2017. 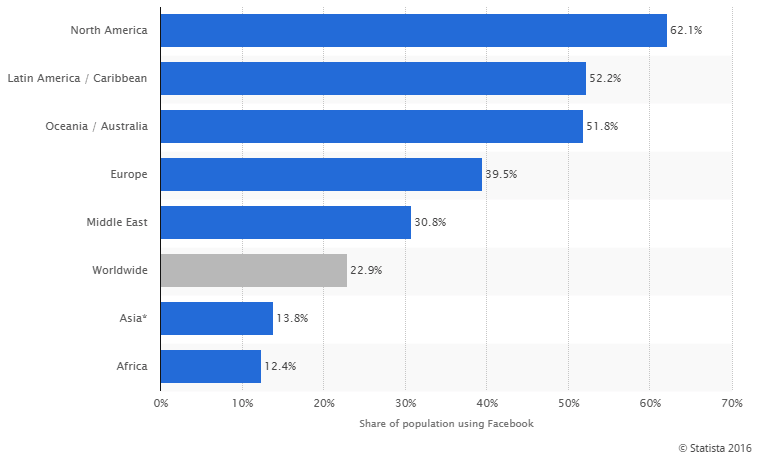 These statistics aren’t exact reflections of Facebook remarketing benchmarks as there is not enough data on this by sectors, and remarketing rates will tend to be higher than average advertising. However, you can use the following benchmarks as a rule of thumb. Even better, we offer free 30 minute evaluations for those with traffic over 10,000 user per month. AdRoll is an official Facebook partner and is a fantastic and easy-to-use platform for customer remarketing. With this tool you can make effective news feed campaigns. All you have to do is choose your weekly budget, your targeted locations, the schedule and a maximum CPM bid. Next, select your visitor segments. Thereafter the ads you’ve created will start appearing in the user’s newsfeed. They’ll show to anyone who’s been “cookie’d” on your website even if they haven’t interacted with your fan page. There’s one annoying thing about AdRoll though, and that’s their billing system. They pre-charge you the campaigns weekly budget every time you create a new campaign. Much like Facebook, Google Remarketing makes use of a small snippet of code on your website, handily called the ‘Google remarketing tag’. This is then placed on pages which correspond to certain categories, such as the products you sell, or the events you are promoting. When a user visits this page, a ‘tagged’ cookie is placed in their browser. When you create an advertising campaign through Google, you can then target everyone who has that tagged cookie. What Can Google Remarketing Do For You? Custom graphics and brand awareness are among the advantages. Most engine marketers target the search network which only involves ad text, but you can use custom graphics with your ads that may appeal more to the end user. Sure, you can still target the search network, but sometimes display network tends to garner a higher click through rate. With Google you can produce more targeted ad copy. It makes sense to vary your copy with each type of user viewing it. You wouldn’t talk to a returning customer the same as a first-timer in real life, so why do it online? The cost per click is lower. Generally speaking, remarketing ads have a higher click through rate than normal advertising campaigns because the people you’re talking to are already familiar with your product or service. Once you’ve got that initial click you can work towards the conversion. The higher the click though rate, the higher the chances of optimising your conversion rate. In terms of display advertising, Google is the better option as it has far better CPC performance, a massive array of ad formats and improved ad targeting options that Facebook just doesn’t have. You can easily set up a remarketing service using your Google AdWords account. First you add the remarketing tag to your website, build the ads and then set up the campaign. If you head to the shared library in your AdWords account you can create a list of people visiting certain sections of your website. With Google, you’re able to review what websites are performing the best in relation to conversion and click through rates. If there’s a website serving your ads but users aren’t biting then you can prevent your ads being shown there. By only serving up your ads on relevant websites you improve your return on investment. They offer really simple retargeting solutions. You’re able to target people depending on their time of visit, their actions and by the page that they landed on. They’ve recently introduced RLSA (Re-marketing Lists for Search Ads) with the aim of allowing advertisers to create campaigns based on the people who searched for a particular keyword, whether they’ve visited your site or not. Additionally, Google’s massive display network encompasses over 90% of the internet. The significant difference between Facebook and Google is the sessions tend to be far longer on Facebook than Google. Google is sort of the middle man for getting to where you want to go, so you don’t have a lot of time to get across your message. 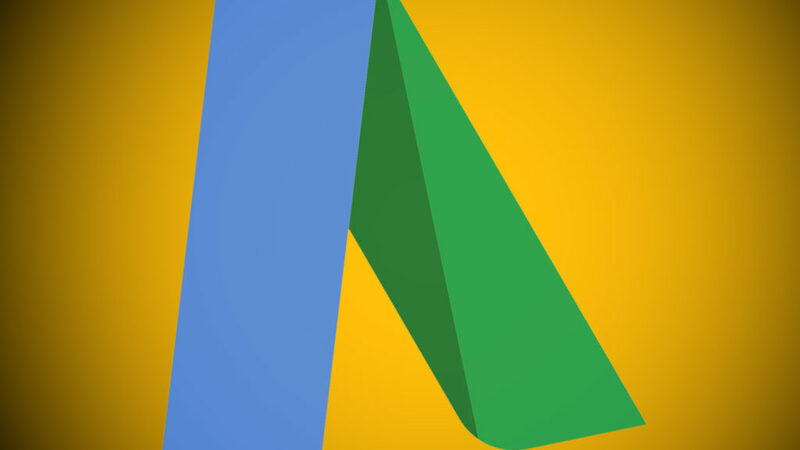 While Google AdWords’ remarketing is exceptional, it isn’t exactly ideal. Even though Facebook remarketing only works on Facebook itself, it’s a hub through which an incredible amount of traffic is funnelled. Google’s reach is wide through the Display Network, but is considerably smaller than third parties like Facebook’s AdRoll. The biggest flaw surrounding Google is the fact you can’t use any keywords that stray too far from your core product or Google just flat out says no. You’re also not able to market on websites outside of your chosen subject or they won’t display. Google suffers in comparison to Facebook because you can only build up based on code from your website with Google, and it can only use the categories that they track. Facebook’s demographic detail, activity logs and interest tracking sort of have Google stumped on this one. What is the Google Remarketing Tag? Much like Facebook’s pixel, the Google remarketing tag is a short piece of code that needs to be added to every page on your website that you want to track visitors on. If you already have a Google Analytics tag added to your website then you can skip adding the AdWords remarketing tag as this will integrate with you Analytics account. Navigate to Shared library > Audiences > Set up remarketing. Click View AdWords tag for remarketing and copy the code. Alternatively, if someone else manages your website for you, enter that person’s email address in the ‘send to’ field to send the code directly to them. The code needs to be placed at the bottom of all pages on your website, just before the </body> tag. This can be placed in the ‘footer’ file if you are using .php or other languages that utilise a common footer. For those using WordPress there are plugins such as Duracell Tomi’s Google Tag Manager Plugin which will do this for you automatically. Google Tag Assistant can be installed as a plugin on Chrome, which will help you solve installation errors (if any). The Google remarketing code is installed and will begin collating data. To enable Google remarketing and advertising reporting features with your Google Analytics account, please follow this link. Mobile devices account for 53% of all paid-search clicks, so mobile optimisation is an absolute necessity. Google processes 2.3 million searches every single minute. That’s more than 100,000,000,000 searches per month. Google’s YouTube receives over 5 billion video views per day. Businesses make an average of £2 for ever £1 they spend. The top 3 paid advertising spots get 46% of the total clicks on the page. Estimates suggest that over 96% of Google’s total revenue (89.46 billion USD in December 2016) comes from display advertising. This means that they are going to continuously improve their remarketing tools and ensure you get results, in order to keep you spending. Users that have viewed your advert on Google’s Display Network are 70% more likely to convert on your website than those who haven’t. A study from comScore found that retargeting adverts generated a 1,046% lift in branded search. So Who’s Better For You? 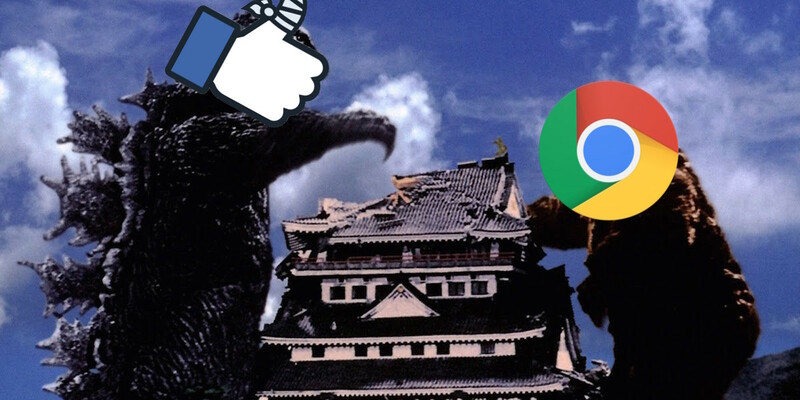 So who wins in the battle Facebook remarketing vs Google remarketing? The truth of the matter is that every business is different and therefore their audience is different. It’s widely recommended that if possible, you should try to combine both. If you can’t, then narrowing down your core goals can get you a better idea of which type you should use. The custom graphics available help you market your branding better. You can produce that targeted ad copy we spoke about (because with fashion, copy matters more than anything especially for product spec.). There’s likely to be a lower cost-per-click-to-sale price. Fundamentally; Facebook may work too, but Google just weighs up a bit better for your circumstances, and is likely more likely to convert users into customers. On the other hand you could be a service provider such as a hair dresser and you want to catch those lost clients who visited your price page. You would probably want to do your remarketing through Facebook because of its ability to present ads to your followers’ friends and above all to make the most of social proof. As a service provider you can encourage happy customers to leave feedback on the posts you plan to remarket to potential clients. Word of mouth is the key to successful marketing, especially for service providers. You can also target users in your area who may be after a local salon. It really is a matter of weighing up your circumstances and cross referencing which option works best for you. At Spot Studio we are experts in developing, running and optimising both Google and Facebook Remarketing campaigns. Stay up to date with our latest guides by subscribing!